Ryan Tracey aka Scim is an artist, producer, and programmer currently based in Chicago, US, who released earlier this year a very valid EP, called Solid Grey, on the Californian outcome T.A.R.. Next week, Tuesday the 25th to be precise, the next Scim outing will be released on the Italian multidimensional record label Heel.Zone, to be the 7th entry in its digital-only sub-catalog. Punctuated Equilibrium, composed of five tracks for a total 15 minutes ride, comes with an amazing artwork by Heel.Zone’s founder Gianluca Lonigro, clearly inspired by early-CGI rave and jungle culture. We’re happy to exclusively share with you the second track of the record, called Clade and available at the end of the article. The composition plays with the juxtaposition of heavy kicks, balanced pauses, distorted synths, and robot-like, glitchy sounds. Push the button! We are thrust into this world, shaking, vibrating, a knot of chemicals pulling itself out of the primordial sludge, slithering, crawling, standing. We sit on the edge of a steep ledge, watching the trophic cascades, watching the foundation crumble beneath us. Long periods of stasis are punctuated by the acceleration of nature-culture, weaving itself into infinite complexities and rapidly unraveling, returning to its former state, consuming itself. Are we living in a new time that breaks with the past, or on a continuum that we demarcate with poignant names like ‘anthropocene’? This collection of sounds is not an answer, but a mere attempt to sonically confront the tumultuous time in which we live. Cyber-organic drones form a landscape which is slowly eroded to reveal excavated beats, attempting to assemble into structures that too quickly degrade into noise. Time is not passing irreversibly, it envelopes us. This digital ephemera is just an ape’s fleeting attempt to grapple with the grotesque sublime, and I hope some other apes like it too. Produced and mastered by Scim. Follow Scim on Soundcloud and on his website. Artwork and design by Gianluca Lonigro. 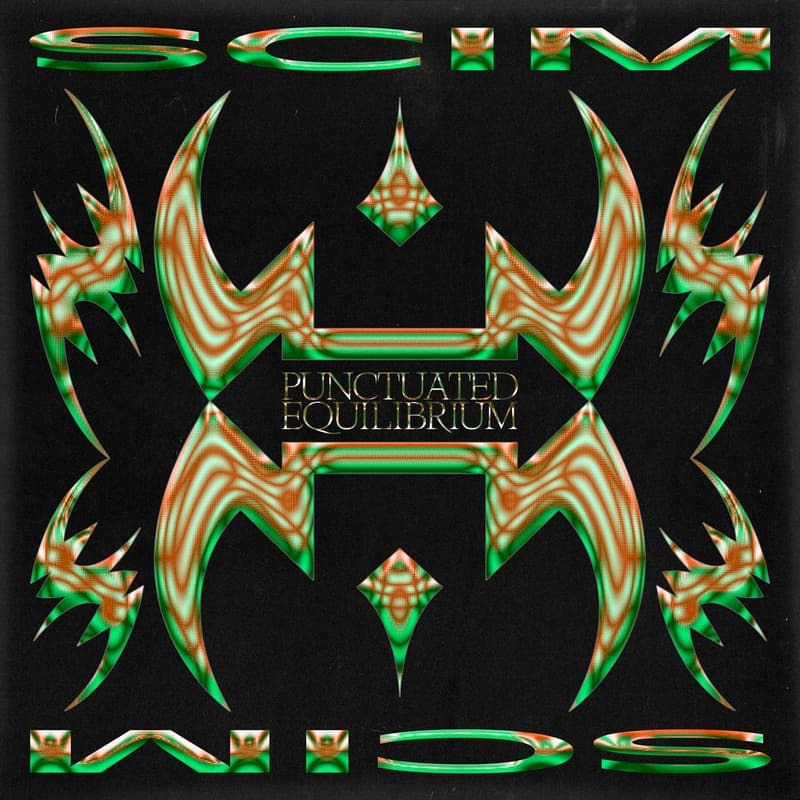 Support Heel.zone and get your Punctuated Equilibrium digital copy at this link!